3. Giving Bean – The ACDA is running our third annual fundraising drive for our U.S. families through Giving Bean, which is a gourmet coffee roaster providing a variety of freshly roasted coffees, fine tea, gourmet cocoa, chai, and biscotti. All coffee is roasted-to-order (your choice of whole bean or ground) and arrives fresh. Prices are $12 for a standard bag of coffee and tea, comparable to other high quality coffees and teas, with lots of flavors including Sunrise Breakfast Blend (medium roast), Bold Reserve, French Vanilla, Caramel Creme, Chocolate Raspberry, Cinnamon Hazelnut, Pumpkin Spice, Organic Heritage Blend, etc. A Coffee Club is also available for auto-delivery every 4, 6 or 8 weeks of a coffee of your choice. 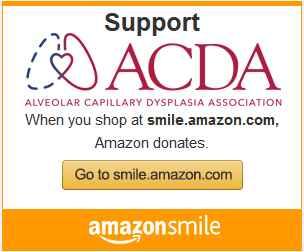 Please click HERE to go directly to the ACDA supporter page and 25% of almost all purchases made through such link will go to the ACDA! 5. PayPal Giving Fund 1% Donation Match Campaign – When you donate through PayPal Giving Fund during the holidays, PayPal will add 1%. That means that 101% of your donation goes to the ACDA. Make a donation using PayPal starting on November 28, 2017 through December 31, 2017 and they’ll match 1% of every donation of $10 USD or more that you make through the PayPal Giving Fund. Please click HERE to make a donation.